CCC’s New student emergency fund has been featured on Forbes’ Civic Nation Voice blog! If an otherwise dedicated student suddenly goes missing from class or confides in struggling to continue, faculty members, or college counselors are encouraged to intervene. If the cause is a financial emergency, that instructor or staff member can recommend the student to the Financial Aid Department via a quick note, which then results in a private link sent to the student to apply for emergency cash assistance. Many kinds of emergencies qualify. For example, one student recently found himself unable to commute to class because his car was in need of repair. Thanks to this support, we were able to help him out. If this had happened a year ago, he may well have had to drop out. We know we can’t solve some of the underlying problems for our students, but we can help students in crisis stay in class and on track to meet their educational goals. While our nascent program hasn’t had time to build a track record of its own, 95% of students who benefited from similar programs finished the semester and 88% returned to school for the next. 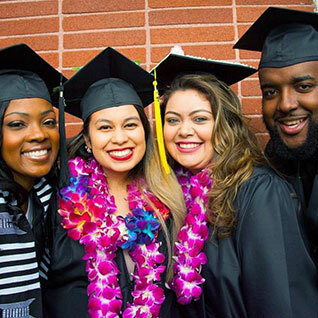 Community members interested in contributing to the program are encouraged to contact the Contra Costa College Foundation.